The summer keeps getting hotter on ‘General Hospital,’ with news of new cast additions and returns the heat is surely on. 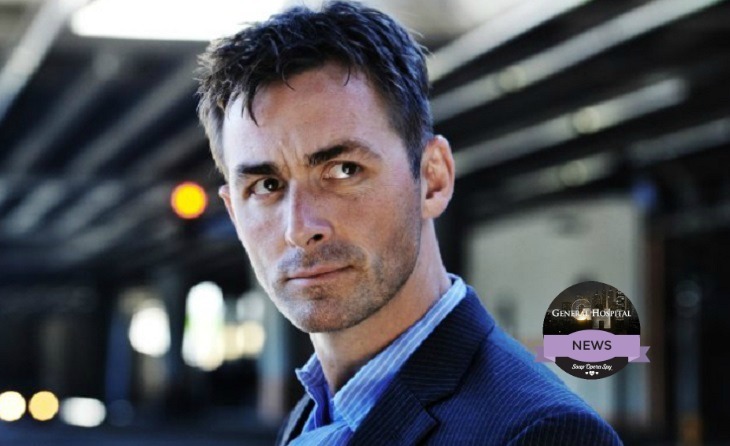 The latest casting news for the ABC soap opera indicates that James Patrick Stuart, an ‘All My Children’ alum has joined GH. What role he will play, you may ask, and that remains a mystery so far as reported by Soap Opera Digest. According to SOD’s ‘General Hospital’ spoilers, Stuart has joined the cast and is currently shooting scenes. Information surrounding his character is pretty mum at the moment but his first air date is set for sometime in July. So far we are not aware whether he has been tapped on contract or a recurring basis, but stay tuned fans as soon as we know you will too. Related: Does Jax Have Information To Help Carly Find Mystery Kidney Donor? Stuart is well known to ABC and daytime viewers for playing the role of Will Cortlandt from 1989 – 1992. He was introduced as a solemnly nice guy until he evolved into a sociopath. He was the nephew of Palmer Cortlandt played by James Mitchell and the brother of Dixie Cooney [Cady McClain]. He is also well known for his primetime roles in primetime series which include; Frasier, Hot in Cleveland, Still Standing, I’m in the Band, Supernatural, 90210, Castle, Seinfeld, CSI: Cirme Scene Investigation, JAG, Ghost Whisperer, Second Time Around, Bones, Malibu Country, 2 Broke Girls, How to Get Away With Murder. His work also includes roles in major films throughout his career. We wish to take this opportunity to welcome back Stuart to daytime and wish him all the best with his new role. Good Luck! So GH fans what do you think of this casting news? Who do you think his Port Charles connections are? Are you hoping this is a long term role? Share your thoughts in the Comments section below, on our Facebook Page, join our Facebook Group or Head over to our Discussion Board to Talk Soaps Daily! I am a talented singer, actor and drama co-ordinator. Currently I hold the positions of Choir Director and Drama Co-Ordinator at my Church. I started the “Weekly Soap Countdown” a few years ago back in 2013 and has been rapidly growing to success. Get Exclusive General hospital News & Updates! ‘The Young And The Restless’ Interview: Miles Gaston Villanueva Discusses Luca Being A ‘Changed Man’ – Is He Really Falling For Summer?